God allowed Satan’s attacks on His servant to bring Job a greater reality of Christ. God used these life-shattering experiences to mature his spiritual understanding. God brought him to the end of himself so Job could become God’s chosen vessel.. a vessel of intercession – a vessel of praise, but especially a vessel of deep comfort. 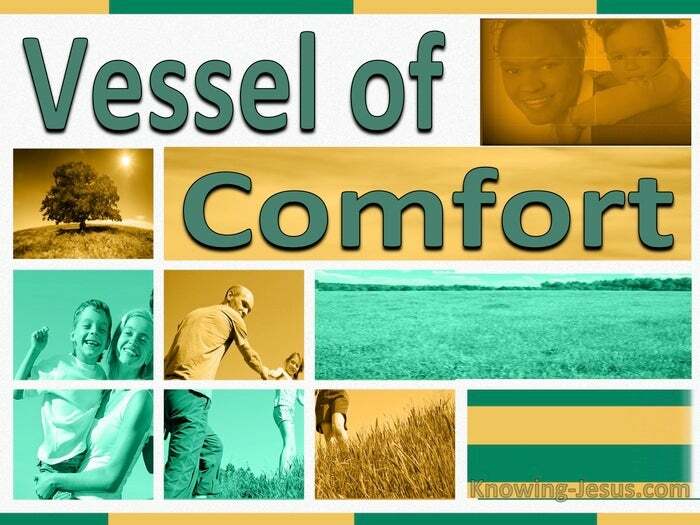 A vessel of God’s comfort to others in need of that comfort. God wants to use His called and chosen vessels to comfort others in their need. That we may be able to comfort them, which are in any trouble.” 1 Cor.1:4. And when we go through our own fiery crucible, like Job.. we too need comfort. But not the kind offered by Job’s three friends, which comes from Adamic religiosity. The ‘religiosity‘ in Job’s friend’s Adamic nature laid hold of an incorrect view of God. Their comfort was a potpourri of good and evil – a mixture made up of truth and lies. Their hearts were divided hearts – a strategy of Satan.. perfected over centuries! Divided, between the old sinful nature in Adam and the new godly nature in Christ. Divided, between man-made religiosity and God-given spirituality. Divided, between Self-righteousness and Christ’s-righteousness. They became wise in their own eyes, with a self-righteous attitude towards others. Job surely felt condemned not comforted – criticised rather than consoled. The ‘spiritual‘ witness of these three, was no more than religious, self-righteousness.. a cancerous and infectious poison that spread its disease to God’s servant, Job. Oh how he needed their loving comfort, but how their attitude infected Job’s retort. And Job, discouraged by their counsel. tried to justify himself, rather than God.. allowing his old, prideful Adamic nature, to flare into his defence. Though Job wore his stupid pride like a necklace during his questioning of God, Job did not accuse God of ill, as did his religious-minded friends. But how we start to see the scheming game-plan of the crooked serpent at work here. Understand the enemy then you can defeat his advances. Understand Leviathan, and you can overcome the strategies of satan ! 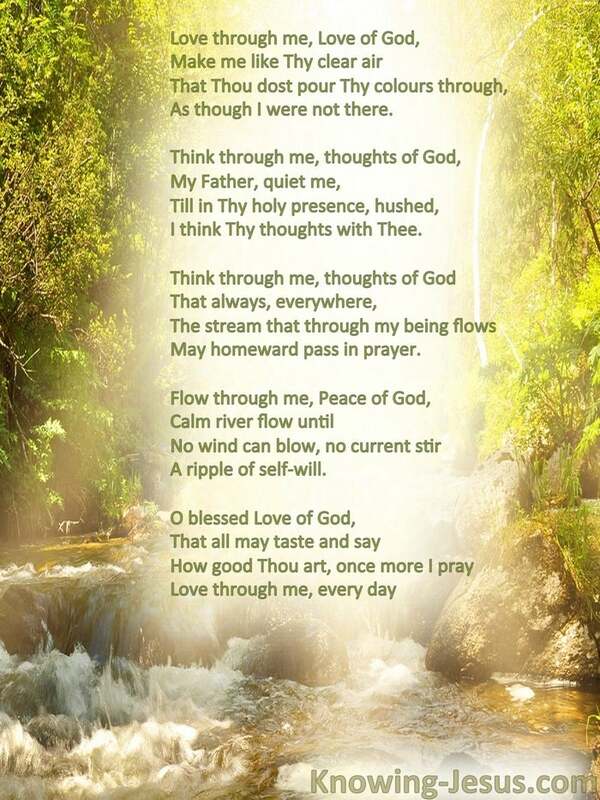 I think Thy thoughts with Thee. May homeward pass in prayer. Love through me, every day.